Marta, Nedir and family enjoying a relaxed weekend at the National Museum, Singapore. Stratoniki from Brooklyn prances around in Fremantle, Perth in Western Australia in winter in a princess dress. Jack and his beautiful family in their home. Jack's mother-in-law and her grand daughter. A portrait at the Urban Light in Los Angeles, by Chris Burden. This is located at the Wilshire Boulevard entrance to the Los Angeles County Museum of Art and consists of 202 restored street lamps from the 1920s and 1930s. Most of them once lit the streets of Southern California. The cutest smiliest baby in the world reflects my smile. New York, Saint Spyridon in New York, after Niki's baptism. Changi Airport. Saying goodbye with my sister to two great friends whose family showed us an incredible time in Egypt when we came visiting. My grandmother meets her great-grandson for the first time in January 2015. Orthodox family and friends sitting for my Mamiya medium-format TLR camera. 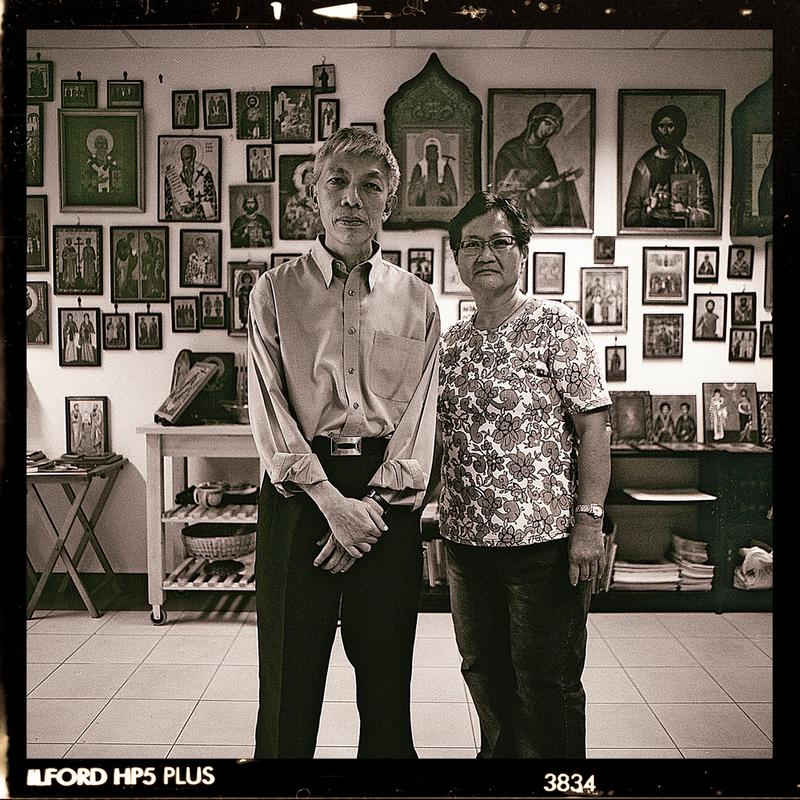 Holy Resurrection Orthodox Church of Singapore, 2 Highland Road. Taken on my Mamiya medium-format TLR camera.